Connecticut senior services cover a wide range of options. It's important to explore what's available as you continue conversations with your aging parents about the future. Knowing what's possible will help your plans for financial, health and housing futures be more creative. The CT State Attorney General's Office continues to update information for the protection of older adults. The Senior Issues Page provides information on current scams and fraud alerts -- such as the driveway paving scam, driving accident scams, or telemarketing fraud. Provides a wide range of programs from Aging Services Division, Caregiving, Employment, Health Insurance, Housing Options -- like a Homeshare program for matching single senior adults who have a home or don't want to live alone or Reverse Annuity Mortgages. Connecticut Home Care Program - CHCPE helps eligible clients continue living at home instead of going to a nursing home. Food Banks - The Emergency Food Assistance Program (TEFAP)distributes food from the federal government to eligible food banks, food pantries, shelters and soup kitchens that serve meals and provide household distribution. These commodities include items such as canned vegetables, fruits, meat, cereals, etc. Food Stamps - The Supplemental Nutrition Assistance Program (SNAP) helps people to buy and eat nutritious food. The modern program was set up in 1971, and underwent a name change from Food Stamps to the Supplemental Nutrition Assistance Program in October of 2008. Long Term Care Ombudsman - operates in 3 regions, Northern, Western, Southern. Volunteer Resident Advocate Program. Community volunteers are trained by Ombudsman staff in resident’s rights, problem solving, interviewing skills, negotiating, working with nursing home staff, and the health care system. Also, they provide a non-medical transportation program to assist nursing home residents in need of social transportation. Medicaid - The Department provides medical assistance to low income persons and people who could otherwise support themselves if not for the fact that they have excessive health care costs. both state and federally funded programs are provided. Protective Services - This program is designed to safeguard people 60 years and older from physical, mental and emotional abuse, neglect and abandonment and/or financial abuse and exploitation. Click the link above for a map and links to the 5 regions: Eastern, Western, North Central, South Central and Southwestern. You will find a page that lists the towns served in each region as well as the contact information. 5. Adult Day Care Aide Positions (to provide day care services to victims of Alzheimers’s Disease and related dementia). 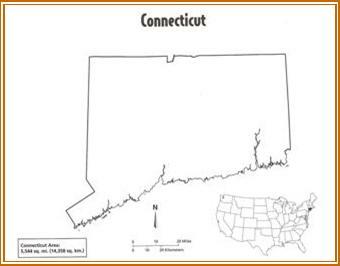 A downloadable comprehensive guide to senior programs and services in Connecticut. PDF file. 60 pp. FREE.